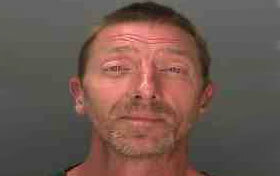 On Saturday at 6:44 PM, the Town of Seneca Falls Police Department arrested Daniel E. White, age 49 of Seneca Falls, for Criminal Trespass 2nd, a misdemeanor. White is accused of entering the home of a local resident without their permission and remaining in the home for a period of time. White was arraigned in the Seneca Falls Town Court and committed to the Seneca County Correctional Facility in lieu of $300 bail/ $600 bond. White is to reappear in the Seneca Falls Town Court on 09/14/2016 at 9:00 AM.